Hurry up and register ! 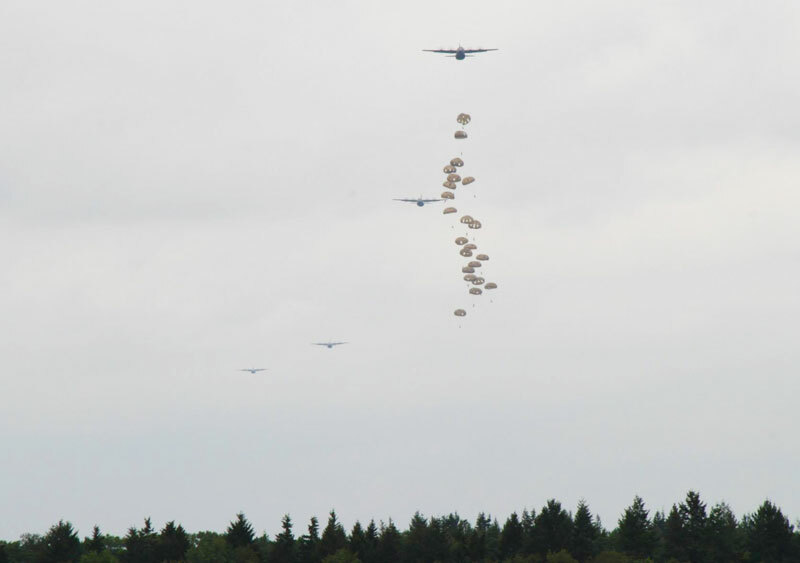 The ABWO was founded 1996 as a means of commemorating the Battle of Arnhem and the preservation of the airborne vehicles that were used during the second World War. 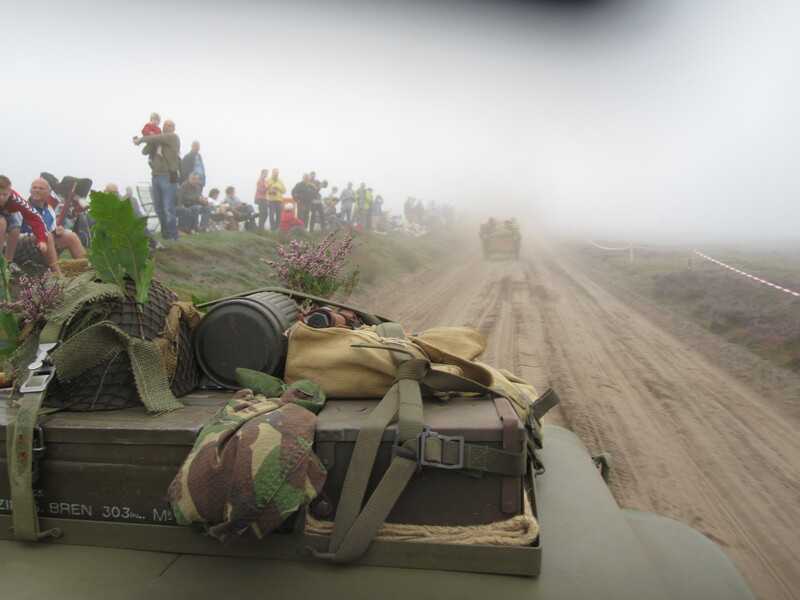 Every year in September we organize a grand weekend for all WW2 British airborne vehicle owners and reenactors. 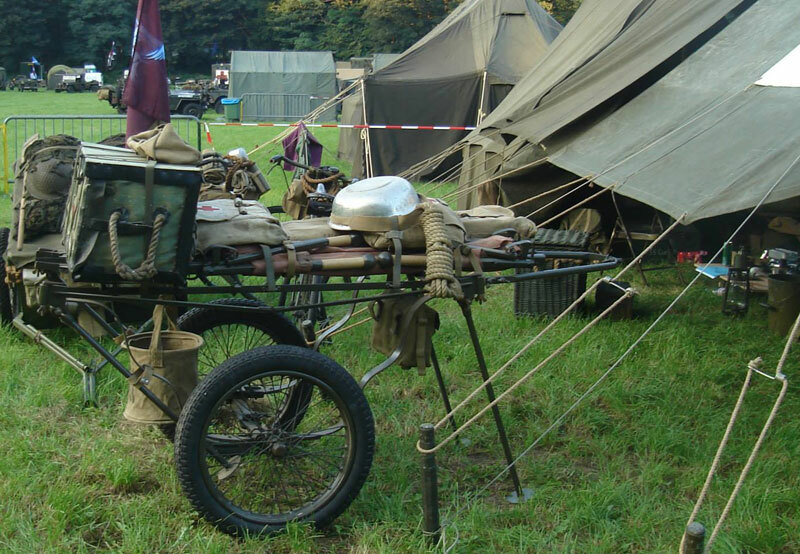 Airborne Battle Wheels Oosterbeek was founded in 1996 to keep the vehicles that were used in the Battle of Arnhem “rolling”. 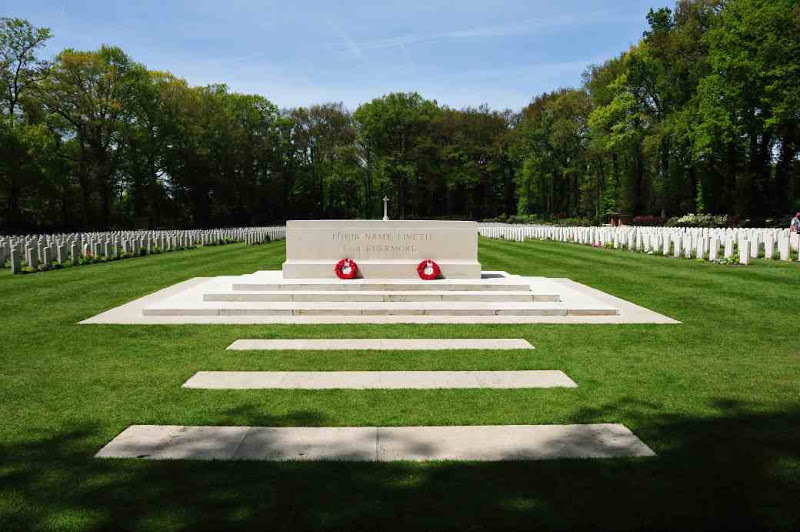 The main idea is to keep the memory alive of those who fought and died for our freedom. For veterans, their families and certainly the future (younger) generations. The ABWO foundation enables an annual weekend in September, the “Airborne Battle Wheels Weekend”. 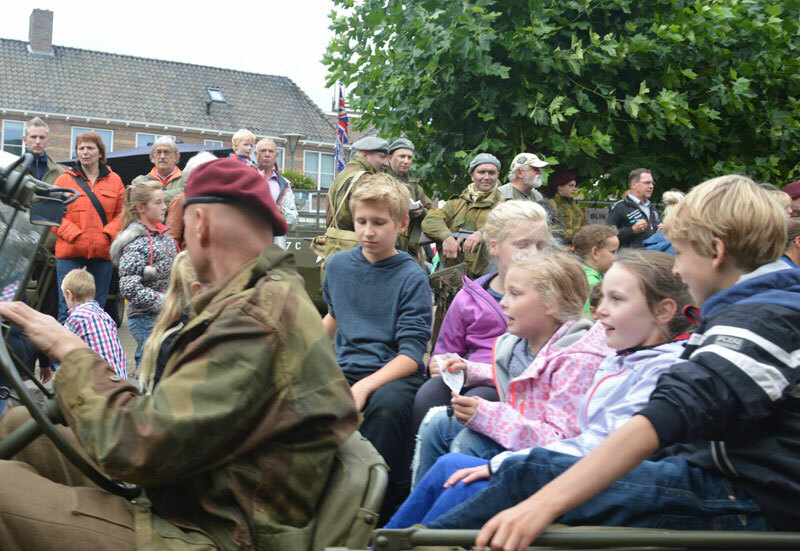 During that weekend we commemorate the Battle of Arnhem with historically correct tours and displays of men, equipment and a variety of vehicles. Our weekend is an opportunity to show respect to the veterans and stay in mutual contact. 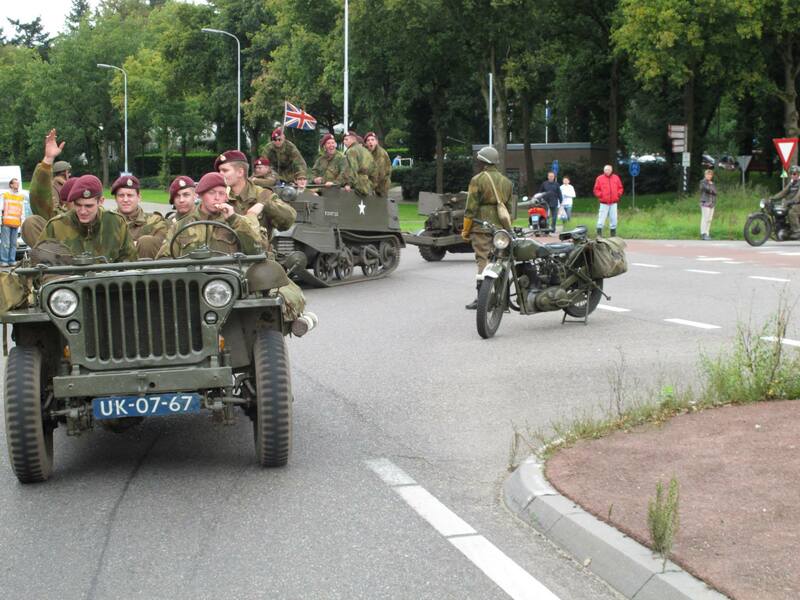 At the same time this is a social event for people with a passion for vehicles of World War 2. To share knowledge and pass information in an informal surrounding. Do you own a historically correct British vehicle of any kind from World War 2 ? Do you know what we mean by “respecting those who fought and died for our freedom” ? If so: visit our camp site and participate in the events we organize during our annual meeting. In 1996 a few “collector” friends realized the idea of organizing a British Airborne vehicle campsite. 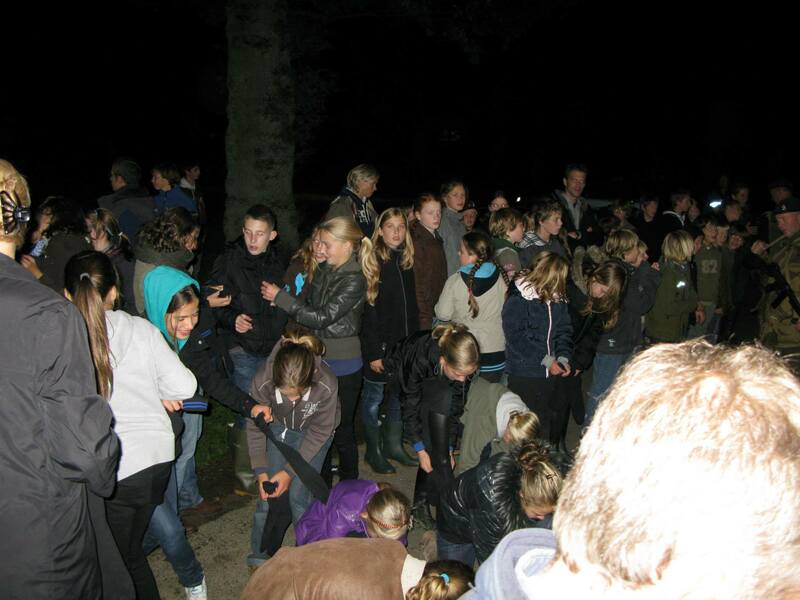 After finding the name Airborne Battle Wheels Oosterbeek (ABWO), they started working on their first meeting, in the woods near Camping “de Bilderberg”. The number of participants grew steadily. 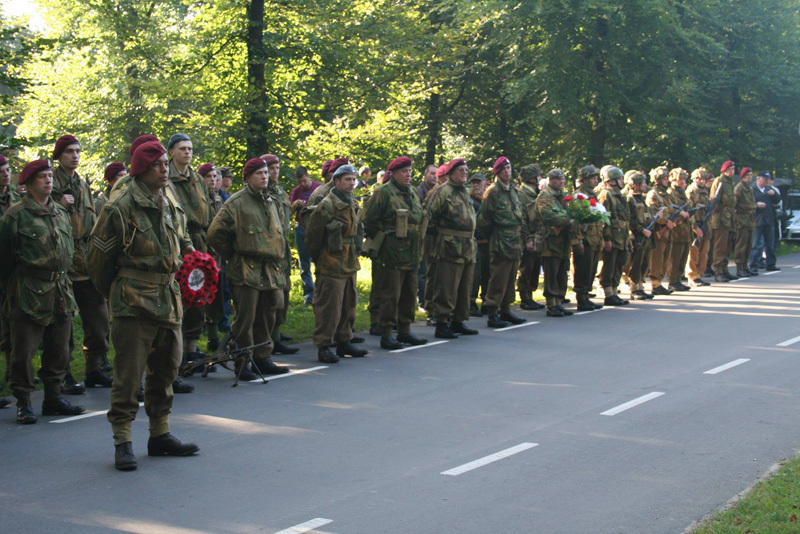 Foreigners (mainly from the UK, Poland and Belgium) accounted for more than half of the number of the participants. The 55th memorial in 1999 was the breakthrough. A record in the number of partcipants and legalisation of carrying weapons. 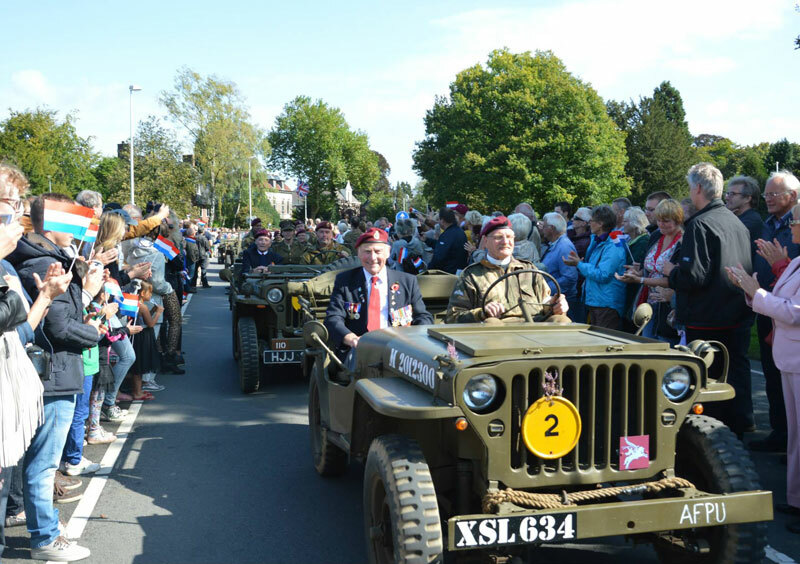 The ABWO contributed to the Farewell parade in a tour with Arnhem veterans in WW2 military vehicles through the villages of Renkum. 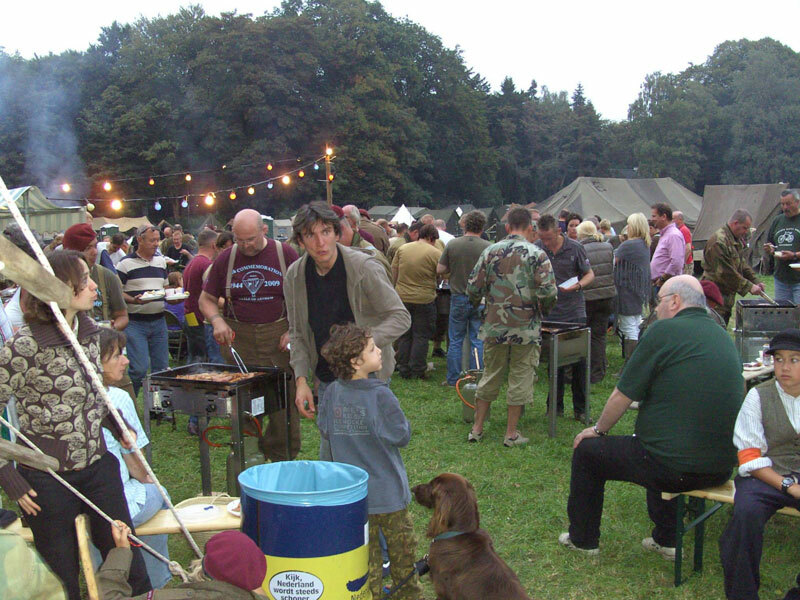 In 2000 ABWO moved from the woods to the the camping ”de Bilderberg” site near the woods. On september the 17th 2001, ABWO became official a Foundation. 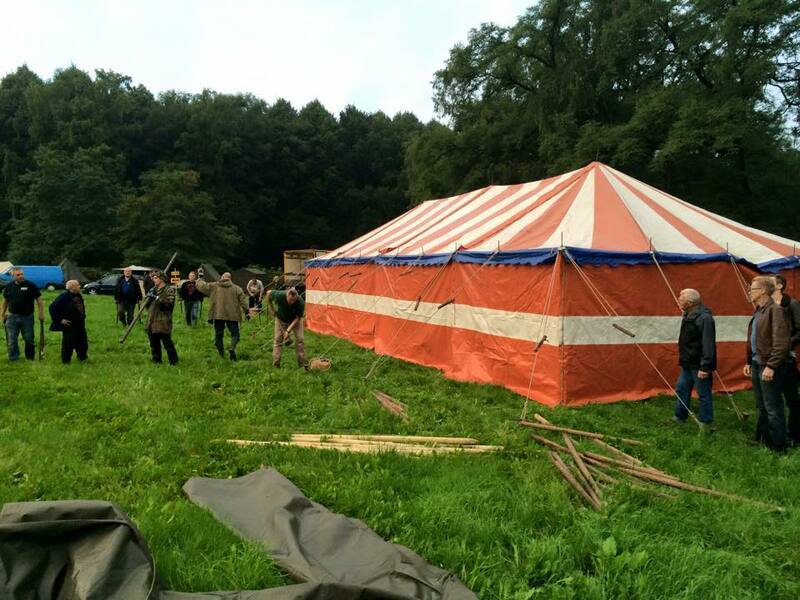 In the meantime, Camping “de Bilderberg” became too small to house the increasing number of participants. In 2005 the ABWO foundation managed to find a beautiful new site for their annual camp. The grounds of Pluryn, location J.P. Heije. 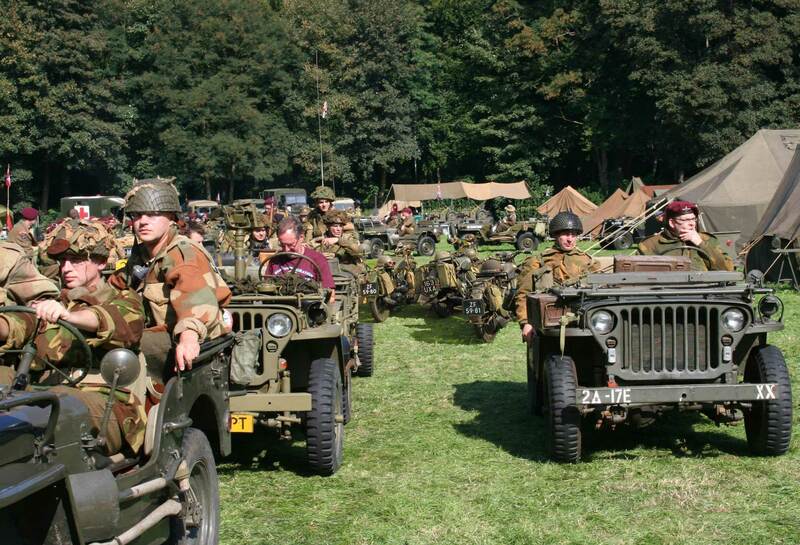 Although it meant a much more complicated organization, the campsite of 2005 has become a new highlight in the ever growing popularity of this historical WW2 vehicle and reenactment event.